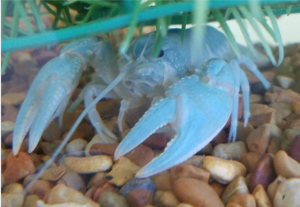 Cammie the Crawfish Presents: Sustainable Science and Technologies- Come and meet Cammie and learn about how she is helping to protect the environment and preserve ancient species! 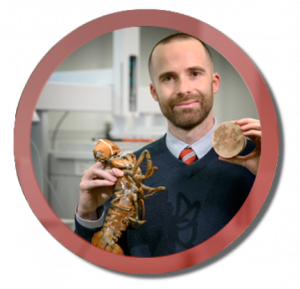 Cammie is a Rocky River Crayfish raised in KBI labs in Greensboro, N.C.
Anthony Dellinger, PhD and President of Kepley BioSystems will be speaking in the SECU Daily Planet Theater at Bugfest 2018 on Saturday, October 20, 2018 at 10:30AM. GREENSBORO, NORTH CAROLINA, UNITED STATES, October 15, 2018 /EINPresswire.com/ — Kepley BioSystems (KBI) is pleased to have been selected for a BugFest 2018 presentation and corporate participant. BugFest is hosted by the North Carolina Museum of Natural Sciences and attracts over 35,000 visitors to experience exhibits, crafts, games and activities every year. The event brings scientists and the public together to learn and experience the remarkable world of bugs! The festival will be held on Saturday, October 20, 2018, in Raleigh, North Carolina. The Kepley presentation is scheduled for 10:30 am in the SECU Daily Planet Theater in the Nature Research Center. The BugFest theme this year is “Arthropods – Crayfish and Other Crustaceans”; crayfish will be featured along with other arthopods, including insects, arachnids, and myriapods. KBI President, Dr. Anthony Dellinger, will kick off the presentations with a talk entitled, “Who’s Your Crawdaddy? Capturing Crayfish While Saving the World’s Baitfish.” This story of science and nature will highlight how the tiny crayfish is helping advance research to sustainably restore the ocean’s most vital resource – forage fish. Members of the KBI team will be on hand to meet with visitors at the exhibit, “Cammie the Crawfish Presents: Sustainable Science and Technologies” (Nature Research Center – 3rd Floor, Booth #104). Cammie the Crawfish will be the featured guest, and visitors can learn how she is helping protect the environment and preserve vital ocean species. “Kepley BioSystems is excited to participate in BugFest this year, particularly with the emphasis on arthropods. We’re looking forward to sharing our technologies – and to introducing our ten-legged team member, Cammie, to the public!” said KBI research scientist, Lee Robertson. This year’s event will include Café Insecta where patrons will be introduced to the practice of eating bugs prepared by local chefs. In all, more than 100 exhibits will offer entomology-based education, crafts and games sure to entertain even the most entophobic visitors. Members of the public are invited to the 2018 BugFest on October 20, 2018, at The North Carolina Museum of Natural History located at 11 West Jones Street, Raleigh, NC 27601. Admission is free. Parking is available in six lots nearby, and free street parking will also be available throughout the city on the day of the event. With more than 30,000 people expected again this year, visitors are encouraged to consider alternative transit options (https://naturalsciences.org/calendar/bugfest/getting-here-and-parking/). The North Carolina Museum of Natural Sciences in downtown Raleigh (11 and 121 W. Jones St.) is an active research institution that engages visitors of every age and stage of learning in the wonders of science and the natural world. Hours: Mon.– Sat., 9 a.m.–5 p.m., and Sun., noon–5 p.m. General admission is free. Visit the Museum online at www.naturalsciences.org. Emlyn Koster, PhD, Museum Director. BugFest is the largest bug-centric event in the country. Next Next post: THE MUSEUM OF LATIN AMERICAN ART (MOLAA) PRESENTS Día Los Muertos Exhibition.